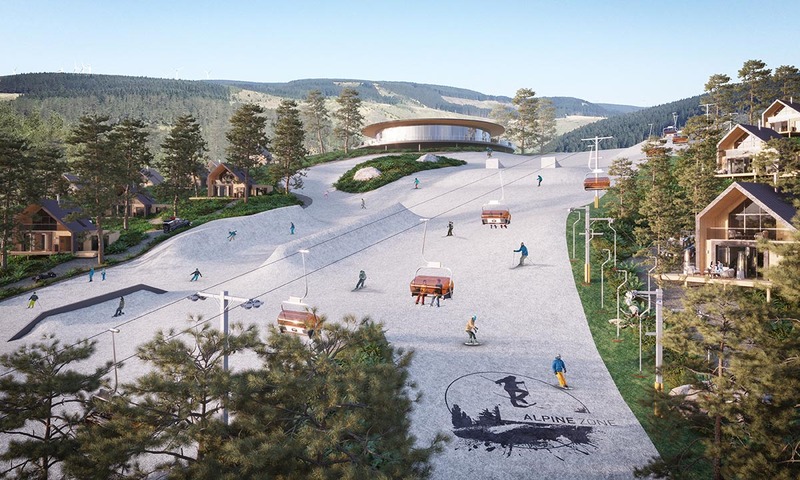 A major artificial ski slope development is being planned as part of a new ‘ultimate adventure playground’ in the new Afan Valley Adventure Resort in South Wales. 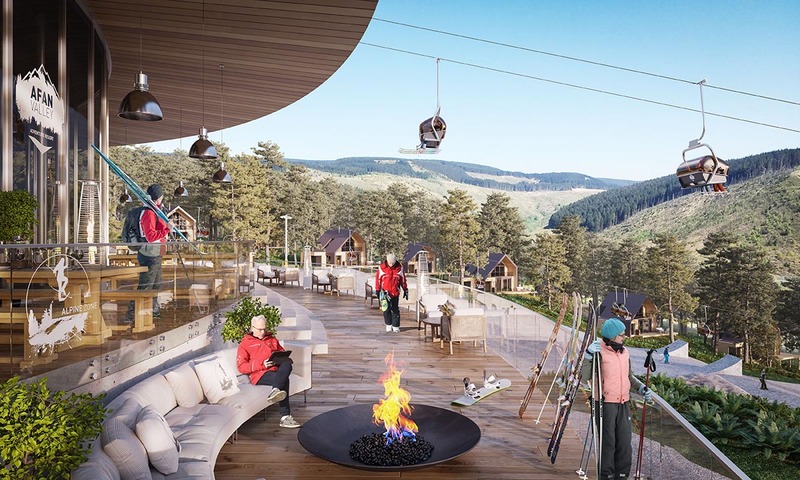 The resort, currently slated to be built on a 450-acre site in South Wales, is being developed by a company called Northern Powerhouse Developments (NPD) and alongside the world’s largest synthetic slope will also offer a wide variety of outdoor pursuits and adrenaline-fuelled activities. “Split into four activity zones: Alpine, Forest, Trails and Xtreme, the resort will provide the perfect base for those looking for sheer fun and light escape to those seeking a more serious test of strength and stamina,” a statement from NPD explains. Snowsport Cymru Wales have been working alongside Briton Engineering Developments, the inventors and manufacturers of Snowflex, to design and develop the artificial ski slopes which will include slalom and moguls runs as well as terrain park features on an almost 1000-foot long slope at the resort. The complete adventure resort will feature everything from downhill skiing to water sports; high-wire forest adventures to mountain biking and survival training to trampolining. The Bear Grylls Survival Academy has also announced the resort will become their European HQ. The adventure facilities will surround a Central Plaza which will be home to a host of retail outlets, bars and restaurants. Luxury lodges will be provided, some of them ski-in-ski-out, and a hotel with spa. “We are delighted to be bringing our knowledge and experience to Afan Valley Adventure Resort and look forward to delivering one of the most exciting and exhilarating all-weather slopes in the UK,” said Terry Di Stasi, Director of Business Development of Snowflex® manufacturers Briton Engineering.